Abstract vector graphics of swirling flowers decorated with a grunge pattern. 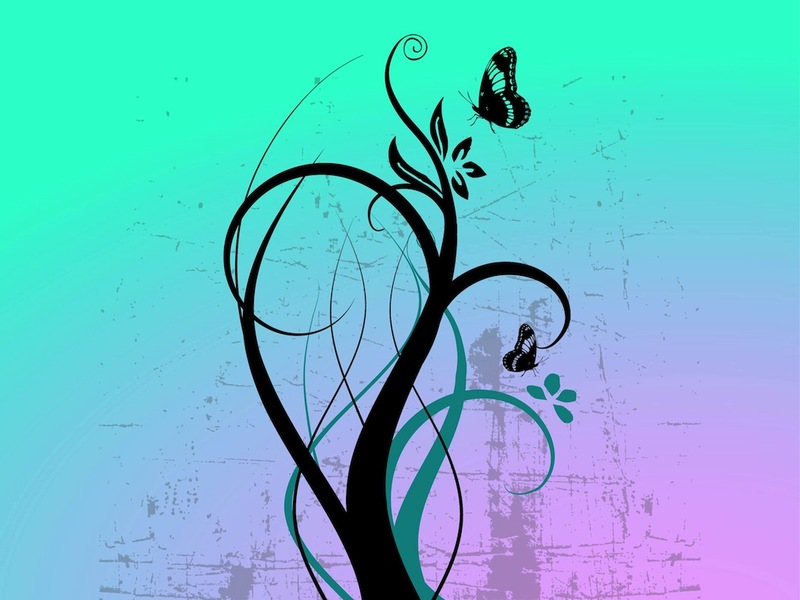 Curved stems in different colors, detailed silhouettes of flying butterflies and outlines of the plant leaves. Free vector illustration for all spring, summer, plants, flowers, floral, insects, grunge, street art and graffiti design projects. Tags: Butterflies, Dirty, Floral, Flowers, Nature, Plants, Stained.